The Mail reports on the Home Secretary’s statement to the Commons, where she told the house she would consider the recommendations made by the Committee on Standards in Public Life on new legislation tackling online abuse. 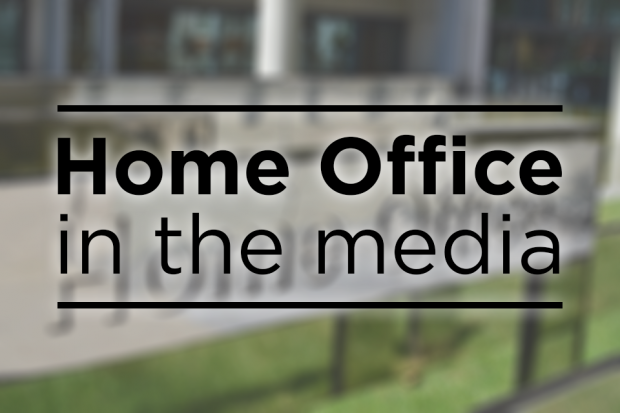 The Home Secretary’s full oral statement can be found here. The Sun covers a letter written by the Home Secretary to EU citizens in the UK. In her letter, the Home Secretary said says she is “proud" that so many EU citizens have built lives in the UK and made it their home. The coverage also notes that the Home Secretary wanted to reassure EU nationals about the new system being designed to handle settled status applications, saying “there won’t be bureaucratic hurdles,” and that it “will cost no more than the fee a British person pays for a passport”. The Home Secretary’s full letter can be found here.